Finally! Someone has taken on the task of theming Swype! Swype has always been sort of an ugly keyboard (IMO) and now you can skin that bad boy to look pretty like the HTC_IME keyboard. Have fun! *Note 1* – This is for ROOTED USERS ONLY. (Sorry!) Root instructions here and here. 1. Open Root Explorer and navigate to /data/app and find “com.swype.android.inputmethod.apk”. 3. Hit back twice and navigate to /system/app. 3. Create a folder on your SD card called “AndroidThemes” and place the Swype_HTC.zip in it. 6. 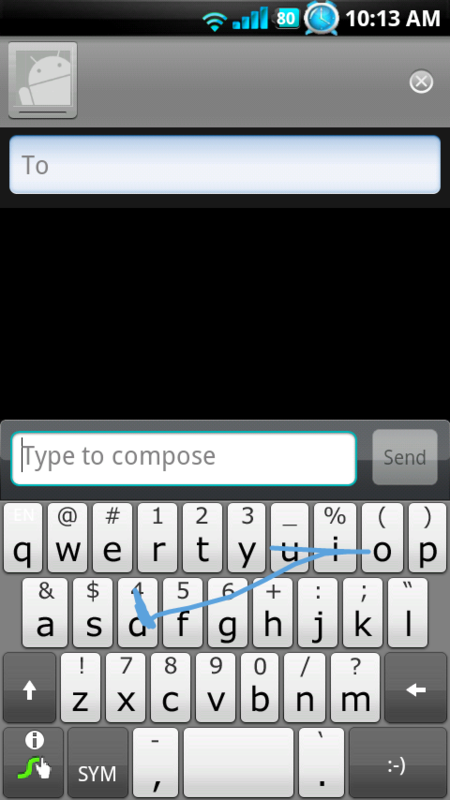 You should now see the Swype_HTC.zip file; tap on it. 7. MetaMorph will extra files including “com.swype.android.inputmethod.apk”; tap on it. 9. Back out of MetaMorph. 10. 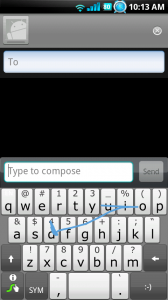 Open a text field, long press, choose Input>Swype. Done! *Note 3* – I ran into space issues in my /system/app folder and had to remove a few things such as Launcher2 and CorpCalendar. If you attempt to install this theme and are having zero luck, you could be having the same problem. Feel free to move apps from this folder, but be sure to stash them somewhere for safe keeping. Questions? Drop them in the comments for the community to attack!